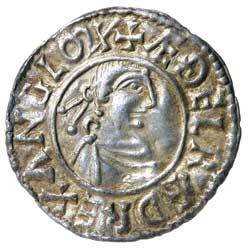 AETHELRED II, (978-1016), silver penny, first hand type, London Mint, (1.54 g), Cynesige moneyer, (S.1144, N 766). Toned, very fine and scarce. 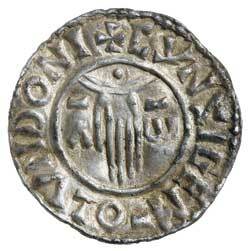 Ex Matthew Rich Collection and previously CNG Auction 365, lot 513.